Rainbow Mosaics: Blooming Garden is rated 4.6 out of 5 by 14. Rated 5 out of 5 by elizadee from WILL PLAY AGAIN!! The game starts easy and becomes more challenging as you progress. Go from color to color until each puzzle is solved. I liked it so well that I set up another profile so I can play again. And I purchased others in the Rainbow Mosaics series. RELAX AND ENJOY!! Rated 5 out of 5 by heatheranne43 from Great Mosaic Game I loved this one. The puzzles were interesting and challenging from the start. Most games of this sort don't get challenging until the last few games and the first levels are way too easy. The colors are bright and nice to work with. I would love to see more like this. Rated 5 out of 5 by purplesage60 from One of my favorites from BFG! I absolutely love this game. So many levels, extras and pretty colors. You even can choose from different tile colors and patterns. Play lasts a very long time! 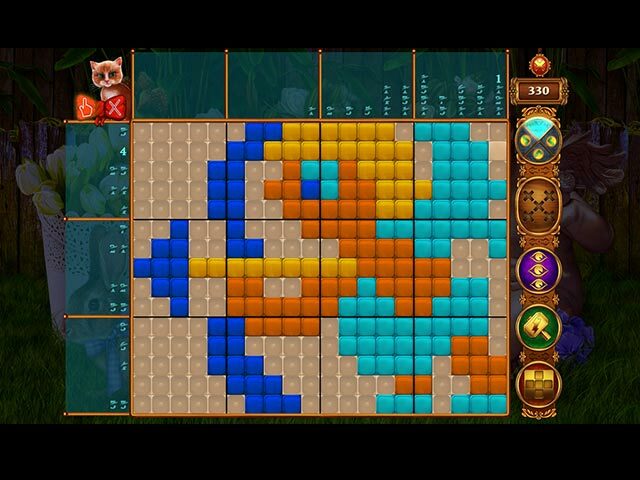 Rated 5 out of 5 by verimeri from great game If you like nonograms, pictograms, mosaics...whatever name you call them by you will love this game. You collect coins to add to your garden and get trophies. Lot of tile choices so anyone can find a set that works best for them. Rated 5 out of 5 by Pikelet from Fantastic! 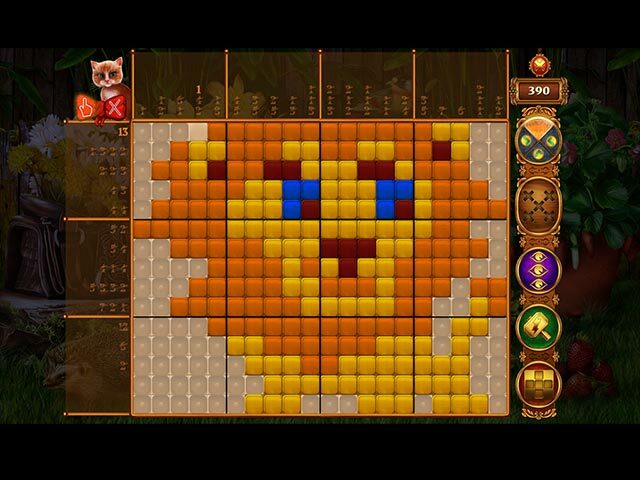 I enjoyed playing the last Rainbow Mosaic game so much and I'm glad another one has been brought out. I enjoy Mosaic games - these are the best in my opinion! I bought this one within 2 minutes of trying it out. Fun to play with a storyline running through it to. It ticks all the boxes for me! Rated 5 out of 5 by alowan from They've done it again! I love nonograms, buy them all, and the "Rainbow Mosaics" gang are right up there with the Penguin group. It's great to have another one! This one builds on the other two, and goes beyond them in story and artwork. I find decorating a garden to be enjoyable! I also like their mechanics. Their 3 powerups are more helpful than most, as you can use them wherever you want. (No crossing your fingers, hoping the hint will land where you need it.) Plus you earn them back as you play. They also use that lovely bit of tech that fills in the empty spaces after you have solved the row/column. I wish they all would do that. It is a pain in the middle finger to "cross out" the empty spaces of a row of twenty, solved with a 2 and a 3! Bravo, Rainbow Mosaics! Keep them coming! Rated 5 out of 5 by biscuitsmama from THE PENGUIN NOW HAS SOME COMPETITION Wow, finally we have an excellent new game in the field of griddler type puzzles. I am a huge fan of the penguin family and had almost given up hope that any other developer could do these games as well. 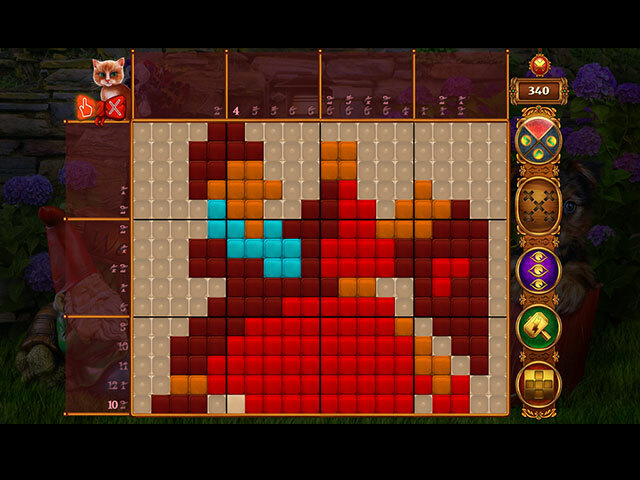 This morning when I tried Rainbow Mosaics Blooming Garden, I knew it was a game I had to add to my gaming library. Griddler type games are the ones I always turn to when I feel like I need a break from my daily routine. I had given up hope that I would ever find a griddler game that I love as much as I do that “other one.” The graphics are excellent and although the grids are a bit smaller in size they are clear. Not only do we have grids with several different color options, there are several tile sets to select when setting up the game. The background music is good but, the dialogue really, really, needs some grammatical help. I have a feeling the days of “polishing” up a game are long gone here in the pond. That minor complaint out of the way, there is so much to love about this game that makes it terrific. Rainbow Mosaics offers the ease of use that my other favorite griddler provides. I like the auto-fill feature that completes the empty cells once we mark the ones in a row or column that have been marked with all available cells. I also like the little dots that we place in unused cells which are so much better than having to use some huge and annoying push pin to fill a cell. 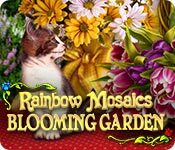 Rainbow Mosaics Blooming Garden is an instant buy for me but, as always, please try the demo to see if this is a game you will enjoy. Rated 5 out of 5 by CyndiLouWho2 from Rainbow Mosaics is the series to play!! When the very first line of the story states "Grandma was on the make" how could this not be a fun game? Seriously, I love everything about the Rainbow Mosaics series even if the English translation is off. I love that I can change the tiles to different textures, which is something none of the other griddler games have. I appreciate the two modes of game play ~ normal and expert. If you play the normal mode, the tiles you don't use are automatically crossed off for you, which some of these nonogram games don't do for you. I especially like that there are several colors involved in the solving process and that using the powerups do not count against you when it comes to scoring. Buying items to improve your grandma's garden also adds to the enjoyment of the game and it's a fun little break from the constant grid solving. Although the background graphics are hand drawn and cartoon-style, they do not take anything away from the game. Also, the music is better than most and not aggravating. All in all, if you love math and logic, I highly recommend the Rainbow Mosaics series ~ it gives you the most bang for your buck, as they say.